NEPONSET – Jacqueline L. Mannon, 81, of Neponset, died at 8:38 p.m., Saturday, November 17, 2018 at OSF St. Francis Medical Center in Peoria. Private services have been changed to 10 AM due to the anticipated snow storm approaching the area an Sunday, November 25 at Rux Funeral Home in Kewanee. There will be no visitation. Burial will be in Pleasant View Cemetery. Memorials may be directed to the Jacqueline Mannon Memorial Fund. She was born December 5, 1936 in Kewanee, the daughter of Frank and Gladys (Richards) Rotz. She married Clyde H. Mannon on September 18, 1954 in Kewanee and he preceded her in death on March 22, 2000. Survivors include two sons, Clyde (Karen) Mannon Jr. of Foley, AL and Michael (Donna) Mannon of Geneseo, her daughter, Michelle Mannon of Neponset, seven grandchildren; Chris (Nicole), Jake (Sara), Nick, Samantha, Nichole, Michael and Patrick and eight great grandchildren with one on the way. She was also preceded in death by her parents and a brother, Frank. Jacqueline worked as a postal carrier in Sheffield and had also farmed. She loved her dogs and horses and donating to the Humane Society. 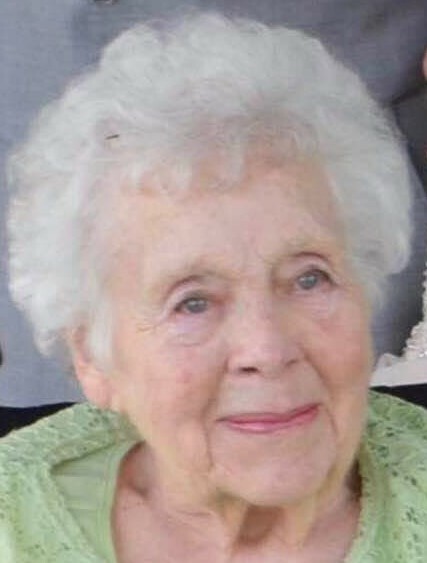 She enjoyed crocheting, ceramics and baking and she especially enjoyed her family and spending time with her grandchildren.